The mere thought of moving from one state to another is mentally draining to say the least. Finding the right Furniture Removals business, the task of packing all your belongings as well as loading up all those big furniture pieces is physically challenging and risky. If you are not trained on how to handle and move heavy items of furniture, damage to property and possible physical injuries may arise while doing the actual moving activity. This may result to permanent back injuries if the lifting task of furniture is done inappropriately. This is where the need to hire a reputable furniture removals firm is highly recommended. Finding a qualified furniture removals company is a vital step to consider for a successful, risk free and effortless move. Consult their team leader or manager if they have adequate facilities, tools and equipments like trucks, removal vans and durable boxes/packing materials for all your moving needs. 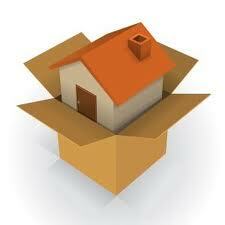 Research if your chosen furniture removals moving package are reasonable and affordable. These guidelines should assist you in finding the most reliable and efficient furniture removals provider. Don’t just entrust your treasured possessions to anybody. Hire the furniture removals firm that completely meets your specific moving requirements.